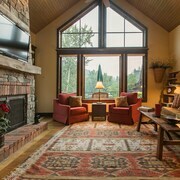 Cozy, Quiet Cabin East Side of Flathead Lake and Surrounded by Cherry Orchards! 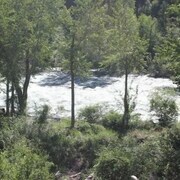 Fox's Den in Bigfork w/ Kayaks! 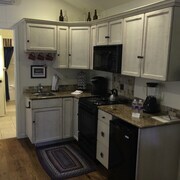 Love the cabin - incredibly cozy in the winter. Love the location. Great stay! Where to find Bigfork hotels near an airport? Where can I find hotels in Bigfork that are near tourist attractions? Considering there is just 1 quality hotel option within a 0.1 kilometres (0.06 miles) of Bigfork's heart, consider booking a place to stay as soon as possible. While Bigfork can't boast to having a wide array of hotels right near the heart of its town center, Timbers Motel is close enough to please visitors. 25 kilometres (17 miles) from the middle of Bigfork, is the Holiday Inn Express Kalispell. 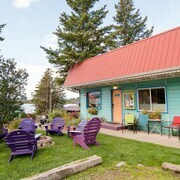 Alternatively, the Best Western Plus Flathead Lake Inn And Suites is 13 kilometres (8 miles) away. 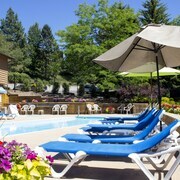 Two more places to rest your head are the Homewood Suites by Hilton Kalispell, MT and the Hilton Garden Inn Kalispell. Keen on seeing more of the lakes, mountains and valleys that this area features? Why don't you plan some time in some of the other destinations in Western Montana? You can visit local sights or have a go at snowboarding and then book a convenient place to stay the night. Kalispell is 25 kilometres (14 miles) to the northwest of Bigfork and is home to the Conrad Mansion and Hockaday Museum of Art. The Red Lion Hotel Kalispell and La Quinta Inn & Suites Kalispell are some of the great hotel and apartment alternatives in Kalispell. 35 kilometres (22 miles) to the north of Bigfork, you may also choose to stay at Columbia Falls, home to the Meadow Lake Resort and Western Inn-Glacier Park. The Meadow Lake Golf Course and House of Mystery and Montana Vortex are a couple of the most popular places to see when visiting Columbia Falls. Before you head home from Whitefish, ensure you experience some sport. Visit Stumptown Ice Den to the northwest of Bigfork. 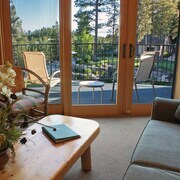 For visitors who are interested in booking a room close by, make a reservation in the Lodge at Whitefish Lake or Grouse Mountain Lodge. Why don't you check out our up-to-date Bigfork travel guide and explore the great things that this area offers visitors. 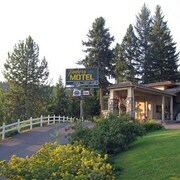 What are the most popular Bigfork hotels? Are there hotels in other cities near Bigfork? 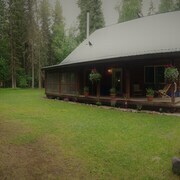 What other types of accommodations are available in Bigfork? Explore Bigfork with Expedia.ca’s Travel Guides to find the best flights, cars, holiday packages and more!